The Rocky Mountain District Tournaments were completed this last weekend and it was no small feat that it was possible, the weather conspired to make it as difficult as possible to get done, but done it is and the Arizona state representatives did us very proud. State history and Rocky Mountain District history was re-written this past weekend when, not one, not two, but three Arizona teams advanced to the Divisional final games. Arizona was represented in three of the four Divisions, and better still two of those three teams advanced to the Divisions Nationals. The Jr Coyotes 14U team advanced to the final against the Colorado 14U Thunderbirds and unfortunately came up just a little short. From all accounts it was a great game and the team gave it all that they had, but feel to Colorado 4 to 1. 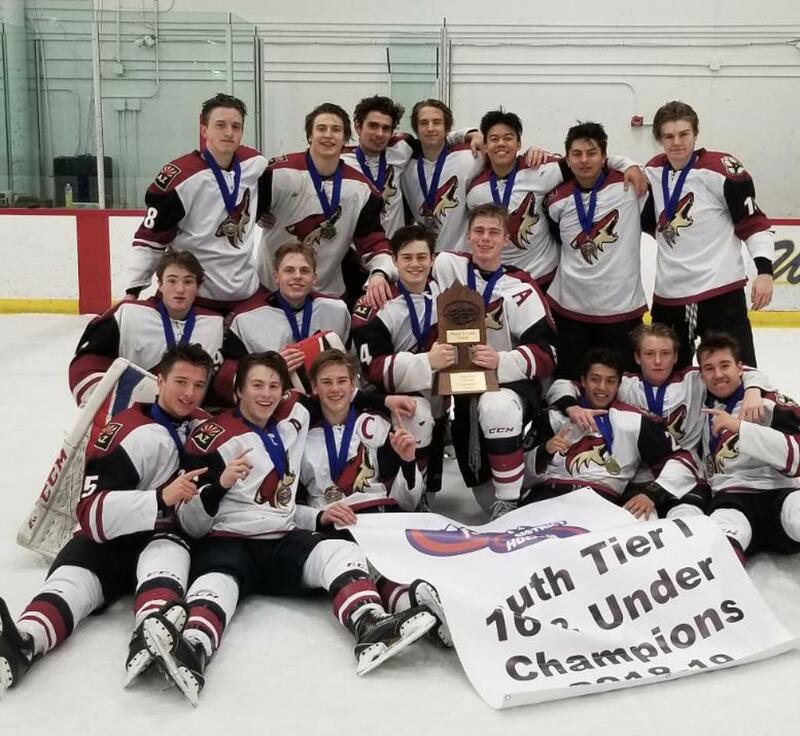 The Jr Coyotes 15U team advanced to the final against another Colorado team, the Colorado 15U Thunderbirds, but the results were this time on our side, the Jr Coyotes prevailed 5 to 0 and have advance to the National 15U Tournament. Finally the Jr Coyotes 16U team advanced and this time against a long time District opponent the Dallas 16U Stars and came away with a hard fought 4 to 2 win and the right to represent the District at the 16U National Tournament. Congratulations goes out to all of our Tier I teams who participated, it is no small feat to have advanced to the Rocky Mountain District tournament. You all represented the State of Arizona and most importantly yourselves with distinction. You should all be very proud of what you accomplished this year. The link below will take you to the game results for all of the games at the Rocky Mountain District tournament. You will have to navigate through the various days, but you can click on the 'final' tab under 'status' to see the detailed results of each game. Unfortunately the other information on the page relates to Colorado Tier I leagues so you'll have to look at the games individually there are no summaries.